தைப்பூசம் -- When is Thai Pūcam in 2017?  Thai Pusam (தைப்பூசம், Taippūcam) is celebrated on 9 Febuary, 2017 Thursday). Special abhishekam, homam, archana, puja, and deeparadhanai are held in Lord Murugan's temples on this auspicious day. The festival commemorates the occasion when Parvati gave Murugan a vel or spear so he could vanquish the evil demon Soorapadam. 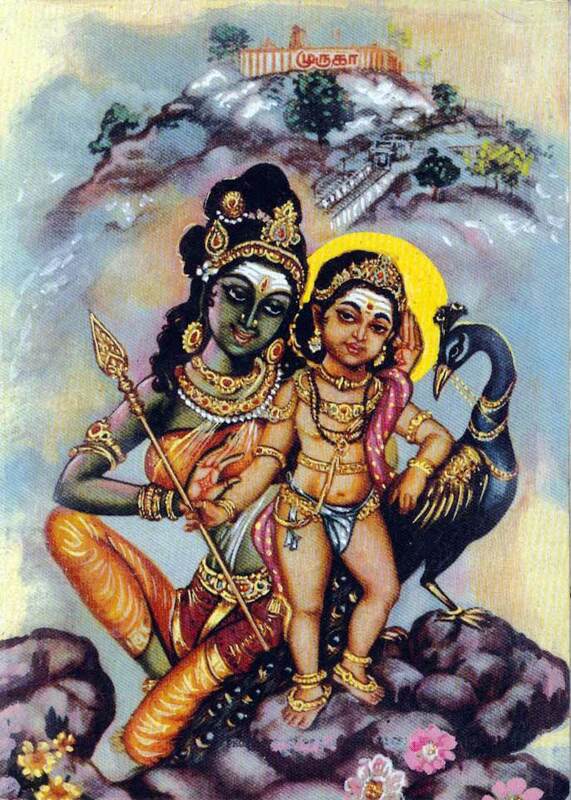 There is a misconception among people that Thaipusam marks Murugan's birthday; however, it is believed that Vaikhasi Vishakam, which falls in the Vaikhasi month (May-June), is Murugan's birthday. In Palani Sri Dandayudhapani temple, ten-day festival (Brahmotsavam) is held during Thai Pusam. On the day of Thai Pusam, Therottam (Chariot or Car Festival) is held. Many devotees will wear saffron or green clothes, undertake Pāda Yātra, take Kāvadi, Pāl Kudam (milk), pierce miniature spears (Alagu Kuthuthal), shave their head (mottai), or do	Angapradakshinam. Palani Āndavar, we love you! Special abhishekams are done to Lord Murugan Moolavar and Utsavar with milk, curd, panchamirtham, tender coconut, sandal, paneer, honey, thiruneer, panchakavi, fruit juices and other diraviams amidst the chanting of Vedas. 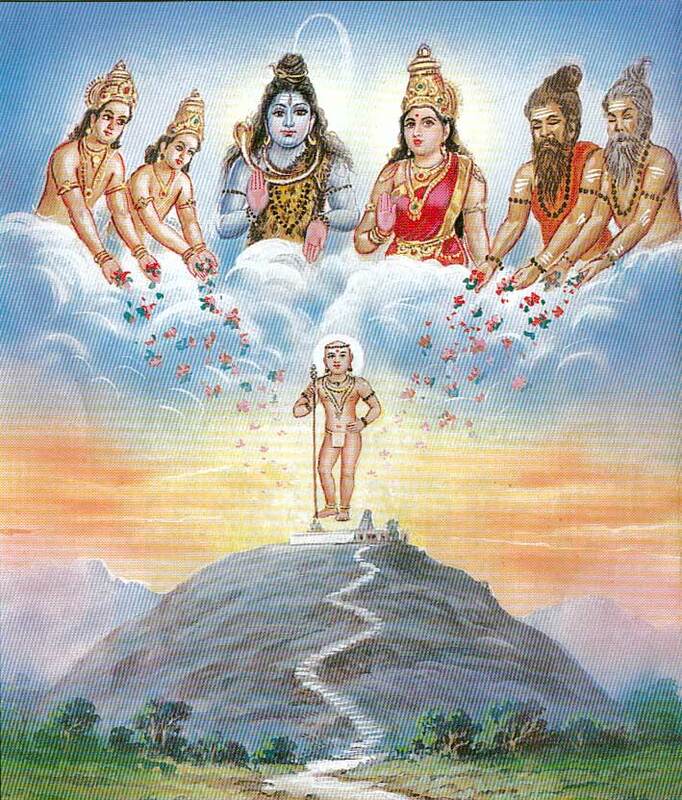 Special alankarams like santhana kappu, thanga kavasa kaapu, raja alankaram, poo alankaram are done to Lord Murugan. 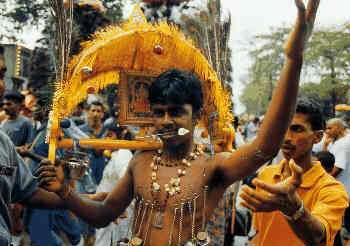 Lord Murugan Utsavar comes in procession in the mada veethis of temple to bless devotees. Lakhs of devotees throng Lord Murugan temples, especially Arupadai Veedu temples. Devotional hymns are sung accompanied by the playing of percussion instruments in temples. Sri Ramalinga Swami became Jothi on this day. To remind this Jothi Darsanam is held in Vadalur Temple. Special pujas are held at Melmaruvathur Adi Parasakti Temple during Thai Pusam. 'Pusam' is the name of Nakshatra. Time: Poosam Nakshatiram is from around 10:30 am IST (Feb 9th) to around 9:35 am (Feb 10th). Next Year Thaipusam: In 2018, Thaipusam is on January 31, 2017 (Wednesday).